Millais a strong legacy in the art world which continues to draw attention today. Millais.org aims to outline the highlights of Millais' career and also touch on other artists with whom he was closely involved. Recent exhibitions of Pre-Raphaelite artists have featured Millais heavily, with the Tate Britain having a particularly impressive collection of their work. John Everett Millais, to give him his full name, contributed some of the finest art work pieces seen in Britain during his era and Ophelia remains the best known painting of all. The Ophelia painting can be seen below and features a model representing an extract of literature, as she lies in a shallow stream. This is instantly recognisable in the UK and spreadheads Millais' career though you will note from this website that there is also plenty of other work to be enjoyed here too. Millais is seen as integral to the rise of the Pre-Raphaelites and in fact was one of the founding members of this group who became one of the most respected collection of British painters from any era, before or since. For the Tate Britain to hold an exhibition of their best work seems inevitable and it is worth a visit if you get a chance to pop to London whilst it is still on. Besides this artist you will also see the likes of Edward Burne-Jones and William Holman-hunt. British art has traditionally been behind French and Italian for innovation and creativity but there are moments of quality, and the Pre-Raphaelite movement certainly represents an important period for British art. The likes of Millais and Burne-Jones continued to build on an artistic reputation for the region which started off with the Romanticists like JMW Turner and John Constable whose careers came around the same time. In recent years there has been a continuation into modern art with new influential artists coming from the UK frequently. There is a gallery with in this website which offers a selection of some of the finest paintings to have come from Millais and we hope to extend this gallery over coming years to eventually hold all of his work that became publicly available and that goes into the hundreds as Millais was highly productive over a number of years. Interestingly, you will notice that he also took on different art methods with portraits and landscapes both included here. Ophelia, above, remains one of the most famous British oil paintings in history and marks the pinnacle of the Pre-Raphaelites, capturing a female portrait in the characteristic style of the movement. This era is littered with stylish women being portrayed in flattering and classic scenes which remains the main focus of all those involved here. The likes of Millais, Burne-Jones and Waterhouse all had favourite models who they would return to again and again. This can also be seen with many other artists from other periods and movements too, such as with Jack Vettriano in the present day and Alphonse Mucha from the early 20th century. Please take the time to discover more about this great artist as this website just serves as a preview and summary of his life and career. The gallery will continue to grow over time, as will the information resources, though this website will never be an entirely comprehensive guide to his life as there is so much to cover that a variety of websites and printed publications is a better bet. However, Millais.org will still help introduce you to the artist and also give a good grounding in his fundamental strengths as a painter and his most famous paintings. Ophelia represented an important period in the artist's career where he was at a stage where he could devote the time required to each of his works and was under no pressure to rush. Ophelia required great planning and the artist took his time to capture everything correctly and as he had intended. He would use his preferred model and carefully lie her in water to capture the correct effects to her face and body as would have occurred if she was at the bottom of the stream, as he was creating from the original extract from a literature piece. Millais paintings have a calmness in them, in most cases. The artist was classically trained but also wanted to impress his own ideas and creativity onto each canvas that he used. Bridesmaid is the specific title of the painting above and can be seen as the cover of a famous Led Zeppelin album, who were a British rock band. The Bridesmaid painting is one of the most reproduced of all his paintings by avid fans. Millais had an extended period of landscape painting which came after he had established himself in the Pre-Raphaelites with his earlier portrait paintings. The landscapes used similar colour schemes to what had gone before as this artist continued his somber feel which had proved effective during that time. It is not clear if these colour scheme used by the artist would prove as immediately popular now as they did then for any budding artist because tastes have changed somewhat in the century or so which has passed since Millais ended his career. Chill October was one of the main attractions at a recent Pre-Raphaelite exhibition at the Tate Britain which looked into detail at the key influences on this important period in British art. Chill October was one of the rare landscape paintings to be included in the temporary collection and was a splended choice, featuring atmospheric scenery as you can see from the picture above. Other landscape paintings were also included in the exhibition but the movement is much better known for it's portraits. Sir Andrew Lloyd Webber is an art collector with a particular interest in the Pre-Raphaelites and he has acquired several of the works discussed and displayed in this website. He admires Millais as one of the most skilled exponents of the style and techniques most associated with that movement. Cardinal Newman is seen in the portrait painting above and this art work has become one of the most respected pieces from Millais. For this reason we felt it necessary to put it here, even though we probably prefer some of his other portraits instead, particularly Ophelia. Religious depictions have become less and less common over the last few centuries as famous artists have taken on a wider range of content for their work and also the influence and power of religious groups in the west has started to wain. All of the links included in this website will take you to the Art.com gallery which has a great collection of Millais prints, posters and stretched canvases for you to buy. There are also some excellent framed prints available too, which probably offer the very best look for this style of artist. We make a small amount of money if you click through to purchase something from them, but also are happy to recommend Art.com anyway because we buy art from them regularly ourselves. Millais.org covers a selection of the best work to have come from this accomplished artist but a fuller list of his highlights a listed below. Disclaimer: www.Millais.org is a personal website covering the career of famous British painter John Everett Millais, but is in no way an official website for John Everett Millais and Millais.org does not claim to be that in any way. 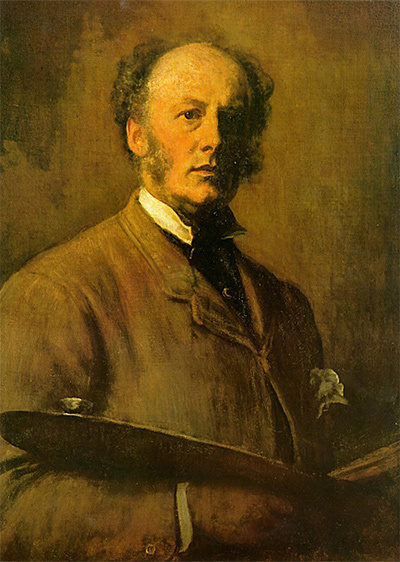 The Estate of John Everett Millais and their presence hold all necessary copyrights and licences for all of his paintings and other works. All prints, paintings and photos included in Millais.org are provided as an affiliate to Art.com who hold necessary permissions. Art.com pay us small commissions based on any prints or paintings that you buy as a result of using this website.